In California, a new policy pushes for recognition of Taiwan’s sovereignty while two Representatives are pushing for the restoration of diplomatic relations with Taiwan. The move was made less than a week after California Democratic Representative Howard Berman wrote a letter of protest. “Today is a victory for the Taiwanese-American community in California,” Berman said. “An unfortunate wrong was righted and when Taiwanese Americans register to vote in California. No longer will they have to list ‘Taiwan, Province of China’ as their country of birth,” he said. California Secretary of State Debra Bowen had resisted making a change — despite protests from Taiwanese Americans — until Berman became involved. 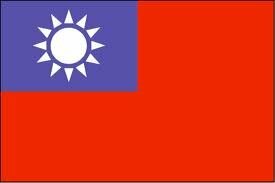 In 1994, Berman was responsible for a bill that for the first time allowed Taiwanese Americans to list Taiwan rather than China as their birthplace when applying for a US passport. “It is incontestable reality that Taiwan is not a province of China,” Formosan Association of Public Affairs (FAPA) president Mark Kao (高龍榮) said. “If American citizens travel to Taiwan, the Chinese embassy is unable to issue a visa to Taiwan,” he said. In other developments, a legislative draft calling on US President Barack Obama to resume normal diplomatic relations with Taiwan and “aggressively support” Taiwan’s full participation in the UN will be introduced in the US House of Representatives tomorrow. The new resolution is being jointly co-sponsored by Republican Representative Michael McCaul and Democrat Representative Robert Andrews. Washington cut diplomatic relations with Taiwan in 1979 when then-US president Jimmy Carter formally recognized China. Carter acted without consulting the US Congress or seeking its approval. “Taiwan is a vibrant democracy and has been a steadfast ally of the United States and a compassionate member of the international community,” McCaul said. “Obama should support a ‘one China, one Taiwan’ policy that gives legitimacy to our Taiwanese friends and partners,” he said. Taiwan is one of only five countries in the world with which the US does not have diplomatic relations. The others are Bhutan, Cuba, Iran and North Korea. While the resolution to resume normal diplomatic relations with Taiwan has no chance of passing at this time, it is considered important as a way to remind the US Congress of Taiwan’s status.